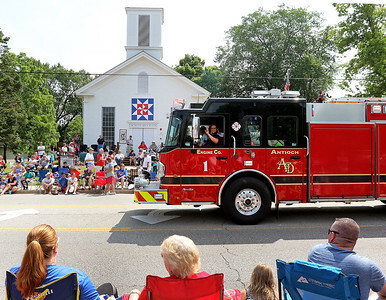 Candace H. Johnson-For Shaw Media Antioch firefighters ride in the Engine Co.1 fire truck as they wave to the crowd during the 4th of July Parade in Antioch. 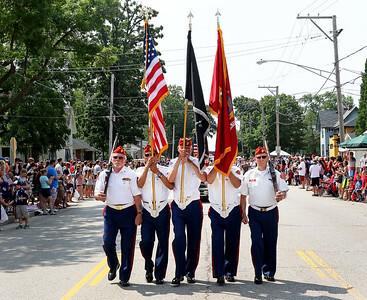 Candace H. Johnson-For Shaw Media Members of the Marine Corps League Lake County Detachment 801 walk in the the 4th of July Parade on Main Street in Antioch. 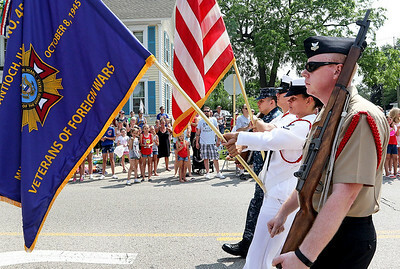 Candace H. Johnson-For Shaw Media The Great Lakes Color Guard representing the Antioch VFW walk on Main Street during the 4th of July Parade in Antioch. 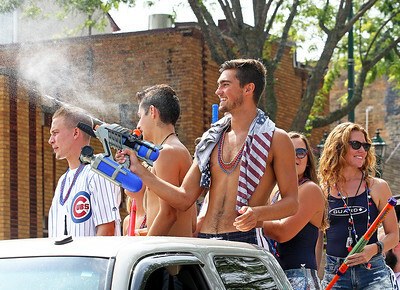 Candace H. Johnson-For Shaw Media Ian Flatley, 18, of Antioch, (center) with the Antioch Aqua Center lifeguards, sprays water on the crowd during the 4th of July Parade in Antioch. Candace H. Johnson-For Shaw Media The Antioch Vikings cheerleaders cheer in their float during the 4th of July Parade in downtown Antioch. 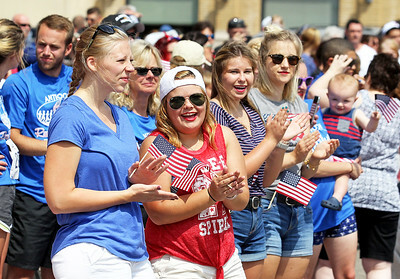 Candace H. Johnson-For Shaw Media Brittany Wisniewski, of Lake Geneva, Wis., Lynlee Reed, of Bristol, Wis., Savannah Niewerth, of Trevor, Wis., and Olivia Hicks, of Spring Grove watch the 4th of July Parade on Main Street in Antioch. 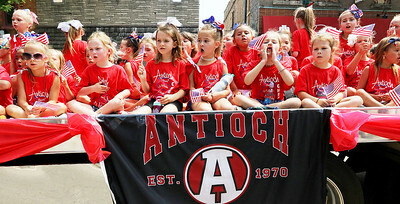 Candace H. Johnson-For Shaw Media Antioch 2017 queens, Little Miss: Adriana Thornton, 8, Miss: Jessica Lamberty, 17, and Jr. Miss: Adalia Tate, 15, wave to the crowd during the 4th of July Parade in downtown Antioch. Candace H. Johnson-For Shaw Media The Conrad and Bautista families, both of Antioch watch the 4th of July Parade on Main Street in Antioch. 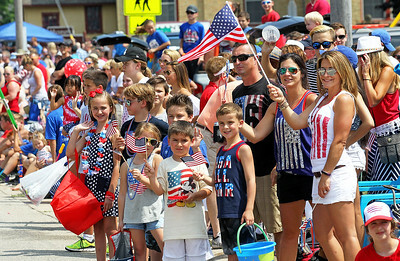 Candace H. Johnson-For Shaw Media Morgan Cave, 3, of Antioch looks at Lambeau, a six-month-old English Bulldog, before the 4th of July Parade in downtown Antioch. 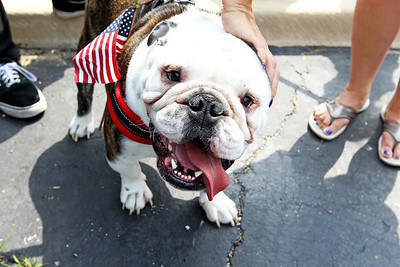 Candace H. Johnson-For Shaw Media Butkus, an English Bulldog, is pet by his owner, Renee Epker, of Lake Villa as he wears an American flag in his collar before the 4th of July Parade in downtown Antioch. 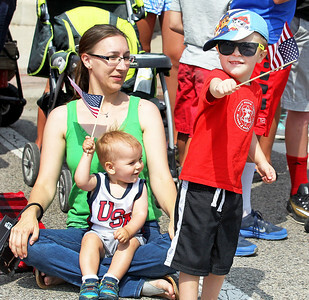 Candace H. Johnson-For Shaw Media Heather Fisher, of Fox Lake and her sons, Wesley, 1, and Wyatt, 4, watch the 4th of July Parade on Main Street in Antioch. 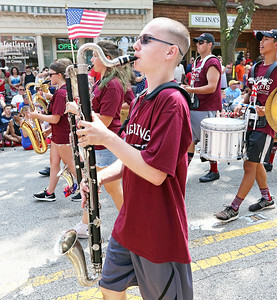 Candace H. Johnson-For Shaw Media Joshua Hirtle, 16, of Antioch, with the Marching Sequoits, plays his bass clarinet during the 4th of July Parade in downtown Antioch. 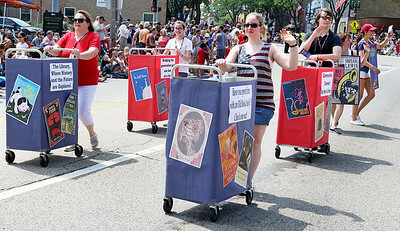 Candace H. Johnson-For Shaw Media Paula Williams, of Bristol, Wis., (second from right) walks with the Cart Pushers from the Antioch Public Library District during the 4th of July Parade in Antioch. Williams is a LAN administrator for the library. 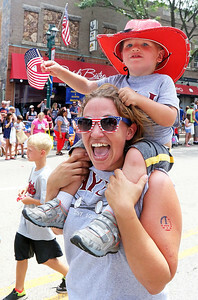 Candace H. Johnson-For Shaw Media Jennifer Flatley, of Lindenhurst and her son, Declan, 2, walk the parade route for Antioch baseball and softball during the 4th of July Parade in downtown Antioch. 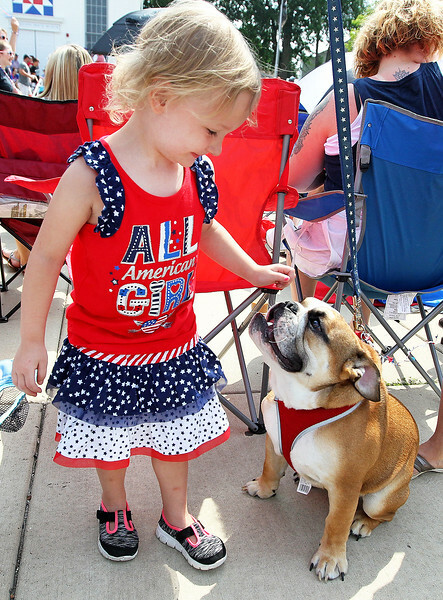 Morgan Cave, 3, of Antioch looks at Lambeau, a six-month-old English Bulldog, before the 4th of July Parade in downtown Antioch.